Alan Haynes, a summer 2017 intern with Oregon Sea Grant’s Oregon Applied Sustainability Experience program, helped the craft brewery win the 2018 Most Valuable Pollution Prevention Project award from the National Pollution Prevention Roundtable. Haynes graduated from OSU’s School of Chemical, Biological and Environmental Engineering in 2018. “The work kicked off by the pollution prevention internship led to significant, measurable impacts on the brewery and as a result, cleaner wastewater is being discharged,” said Julia Person, Widmer Brothers Brewing’s sustainability manager. She said that Haynes and the brewery team explored ways to reduce biological oxygen demand (BOD) and total suspended solids (TSS), regulated wastewater pollutants. BOD and TSS in breweries result from excess yeast, grain or hops that find their way to the drain. The goal was to find methods that saved on extra-strength sewer charges resulting from the BOD and TSS in the brewery’s wastewater discharge. The project resulted in changes in equipment and processes that helped reduce Widmer’s annual biological oxygen demand by 11 percent (10,000 pounds) and total suspended solid waste by 60 percent (6,000 pounds), Person said. The improvements will save the brewery more than $150,000 a year, she said. The addition of a pump to divert high-TSS liquids from spent grain was the main contributor to the savings. Other innovations resulting from the project include testing at key process points such as tank cleaning, yeast harvesting and kegging, and preventing overflow of a waste yeast capture system. This waste yeast is now hauled to regional dairy farms and used in feed. The internship program that Haynes took part in is a partnership with Oregon Sea Grant and Oregon’s Department of Environmental Quality (DEQ). Funded by the Environmental Protection Agency and launched in 2017, it provides paid 10-week summer internships. Undergraduate and graduate students in Oregon are matched with businesses in the state to help them reduce toxic chemicals, energy, water use and waste. The first cohort interned at five companies. If those businesses were to implement the interns’ recommendations, they could annually save nearly $900,000, reduce water use by 60 million gallons, and decrease solid or hazardous materials by 8.5 tons, according to DEQ’s website. Information on how to apply to be an intern next summer will be announced in early 2019. Oregon doesn’t stop at the beach. 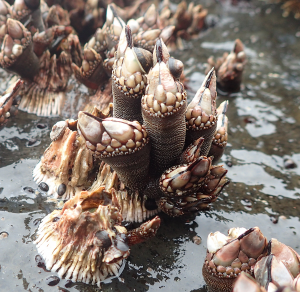 In fact, the shoreline is just the beginning of an incredibly complex and thriving marine environment full of colorful rockfish, towering kelp forests, expansive sandy flats, jagged rocky reefs, and a diversity of unique invertebrates. 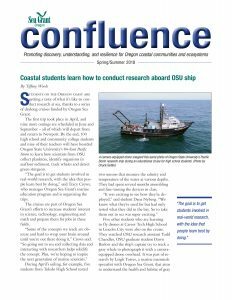 To ensure this environment remains healthy and vibrant, the Oregon Department of Fish and Wildlife (ODFW) and Oregon Sea Grant (OSG) teamed up and developed a successful partnership that focuses on enhancing the intersection of science and management. This partnership has fostered fellowships and scholarships that support science-based resource management issues. 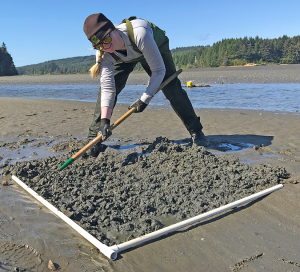 As part of this collaboration, two OSG Fellows, Kelsey Adkisson and Ivan Kuletz, worked with ODFW on a great example of Oregon’s support for science-based ocean resource management- the Oregon Nearshore Strategy. 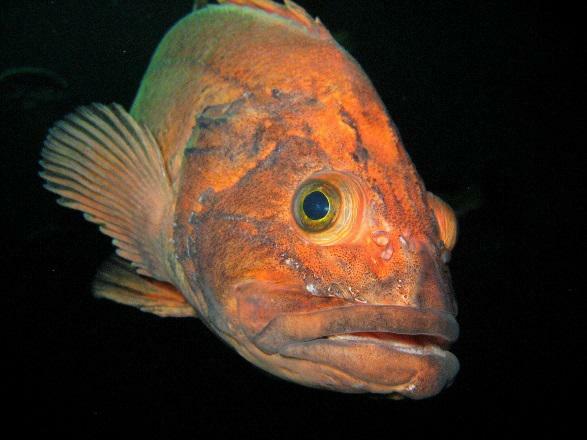 The Oregon Nearshore Strategy is a set of prioritized recommendations for conservation, management, and research of species and habitats that occur within state waters. Oregon’s nearshore environment is home to a vast array of species and habitats. All of which are integral components of a complex nearshore ecosystem. This ecosystem is interconnected through food webs, ocean currents, and a multitude of other biological, physical, chemical, geological and human use factors. Originally developed in 2005, and currently undergoing a ten year revision, the Nearshore Strategy was created via a collaborative process led by ODFW. Members of the public, ocean-related businesses, recreational interests, conservation groups, government agencies, tribes, universities, and many other sectors helped contribute to the Strategy. As part of the 2015 revision process, Kelsey and Ivan worked with ODFW Project Leader, Greg Krutzikowsky, to review and update the enormous body of scientific knowledge that underpins the document. This information was used to develop recommendations that support Oregon’s diversity of marine life. As Sea Grant Scholars, it was a unique experience to be part of something that is used by such a broad variety of interest groups, including federal agencies, policy makers, citizen groups, fishermen, conservation organizations, and researchers. The Nearshore Strategy is currently undergoing public review and the update is due to be completed by October 1, 2015. Public input is essential to shaping and prioritizing resource needs for the next ten years and ODFW is seeking input on the Strategy. To review the Oregon Nearshore Strategy, provide input, or find out more about the revision process please visit the ODFW Oregon Nearshore Strategy website: (http://www.dfw.state.or.us/MRP/nearshore/index.asp). CORVALLIS—A little training, a little fellowship and a chance to show off what they’ve learned: That’s what a gathering of graduate and undergraduate university students got Thursday when they gathered at Oregon State University for the second Oregon Sea Grant Scholars Day. 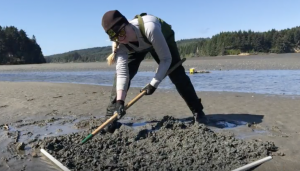 “This is really an opportunity for students we support to come and tell us about their work, and also get a little bit of training,” said Oregon Sea Grant Director Shelby Walker. The Sea Grant Scholars program combines Oregon Sea Grant’s fellowship, internship and scholarship offerings under an umbrella that not only gives students opportunities to learn and conduct research and public outreach projects, but also provides them with opportunities to grow as professionals. Scholars Day – which is anticipated to take place every other year – is one such opportunity. This year, 19 participants spent the morning focusing on understanding the changing roles of science communicators and strategies for more effectively reaching target audiences. Scholars also spent time framing their “mental models,” or preconceived notions that communicators – and others – hold about specific subjects or groups of people. “Communication is not so much about you talking to someone, but really about two mental models meeting,” explained Shawn Rowe, director of OSG’s Free Choice Learning program and a specialist in communication theory. Mental models can become barriers in effective communication. Rowe emphasized the need to understand the mindset of audiences and their viewpoints before trying to communicate. Scholars were given a case study on tsunami debris to practice developing an effective outreach plan that considered the mental model of a specific stakeholder. After lunch with the Oregon Sea Grant Advisory council and program leaders, scholars were joined by an audience of about 30 who came to hear about their research projects. Presentations covered the economic effect of jellyfish blooms, the influence of climate change in coastal communities, creating age models for burrowing shrimp and more. Two students also presented on their legislative policy fellowships: Zach Penney, a current Sea Grant Knauss Fellow, talked about his experiences in Washington, D.C., including his work on legislation about Northern California land exchange that has passed the U.S. House of Representatives. Rose Rimler, a Sea Grant Natural Resources Policy Fellow, discussed her work updating environmental action plans for the Tillamook Estuaries Partnership. The day culminated in a poster session and reception where the scholars had a chance to discuss their research with peers and audience members. The year’s event drew current and recent Sea Grant Scholars from OSU, the University of Oregon, Lewis and Clark College, Oregon Health Science University and the University of Idaho. NOAA Coastal Management Fellowship – Deadline: January 24, 2014. Oregon Sea Grant Natural Resource Policy Fellowship – Deadline: February 7, 2014. Dean John A. Knauss Marine Policy Fellowships – Deadline: February 14, 2014. 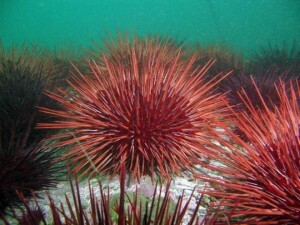 NMFS/Sea Grant Graduate Fellowship Program in Population and Ecosystem Dynamics – Deadline: Applications due to state Sea Grant Office January 24, 2014 for submission to the NMFS by February 21, 2014. NMFS/Sea Grant Graduate Fellowship Program in Marine Resource Economics – Deadline: Applications due to state Sea Grant Office January 24, 2014 for submission to the NMFS by February 21, 2014. 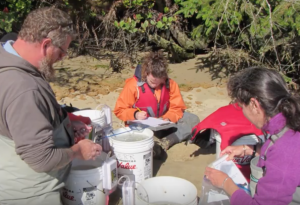 Want to find out more what it’s like to be an Oregon Sea Grant Scholar? 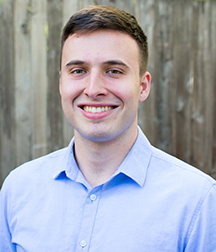 Check out the Scholars Blog where you can read recent entries by our student scholars and their work, such as 2013 Oregon Sea Grant Natural Resource Policy Fellow, Geoff Ostrove. 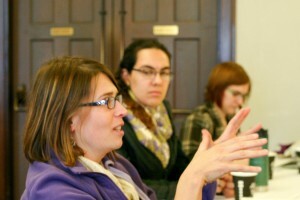 Also, check out the interview of 2012 Knauss Fellow, Jennifer Dresler in Confluence. And be sure to visit the Meet the Scholars page where you can learn about current and recent Oregon Sea Grant Scholars. Join Oregon Sea Grant at da Vinci Days! Join Oregon Sea Grant at da Vinci Days this Saturday and Sunday, July 20-21, on Oregon State University’s lower campus in Corvallis, Oregon. Discover interesting biofacts about the diverse life forms found on our beaches; meet some of our undergraduate Summer Scholars and hear about their projects; find out how invasive species impact our aquatic ecosystems; and learn more about Oregon Sea Grant’s integrated research, education, and public engagement on ocean and coastal issues. There is something for everyone at this family-friendly event!